The Three Sided Table Cover gives presenters easy access to the space beneath the table and makes sitting at a table easy and comfortable. 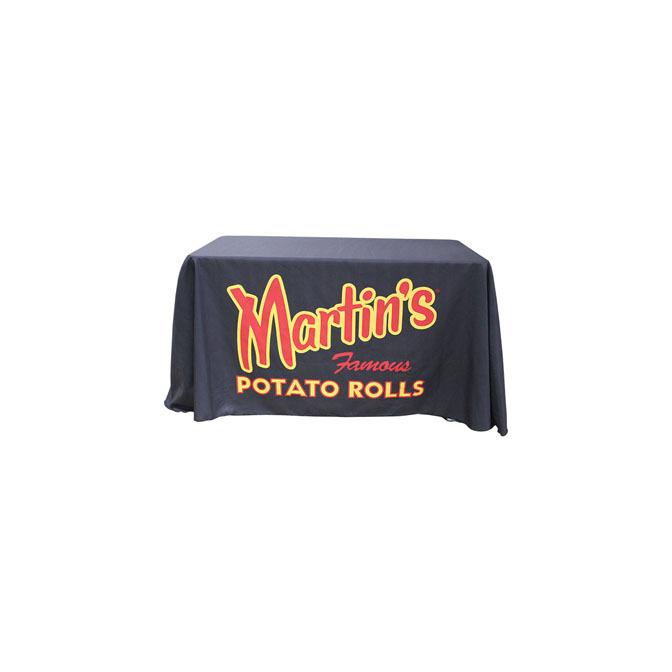 This is particularly helpful when on a stage or dais, as the table cover can hide the table’s underside from the audience. Similar to draped table covers, the Three Sided Table Cover has material that hangs at the corners of the table while having a smooth presentation surface to the front and each side. 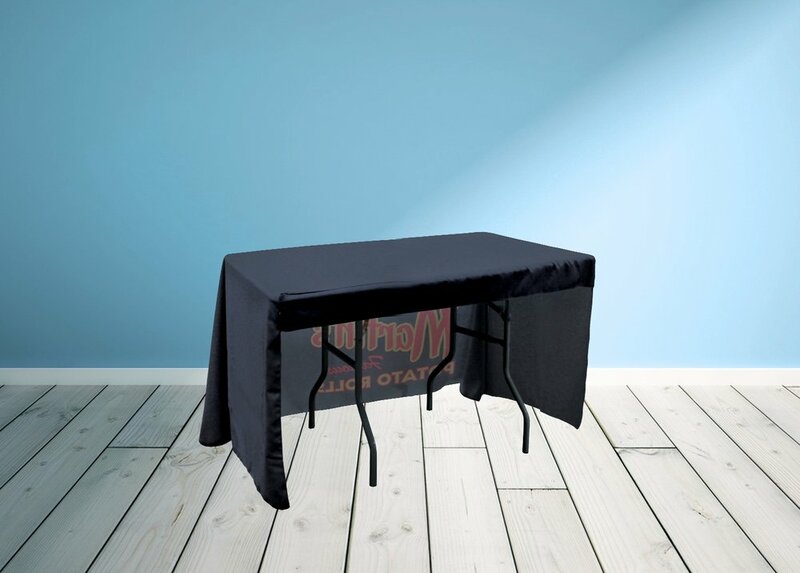 The rear of the table cover has no fabric other than a lip at the top to keep the cover stable while on a table. Examples of our table covers are available on our YouTube Channel, or by viewing this playlist. Artwork to be printed on covers is laid out in the Artwork Template, which can be downloaded for your own use here. If you aren’t familiar with graphics software, you can send your logo, images, or artwork directly to us and our graphics team will set up the design for you. Templates and artwork are sent here. While only three sides of the cover reach floor level, the fourth has a lip of material that keeps the cover from sliding off the front or sides of the table. Each cover is treated to be flame resistant to applicable fire resistance codes to ensure safety in the even of accidents. Printed using commercial-grade pigments, the final imagery on covers resists color fading for up to two years to keep your installation looking great.